Summary (from the inside flap of the book): It was April 5, 1943, and the Gestapo would arrive any minute. Dietrich Bonhoeffer put his papers in order and left a few notes specifically for Hitler's men to see. TwoGestapo agents climbed the stairs and told the blond, boyish-looking Bonhoeffer to come with them. Left behind was proof, in his own handwriting, that this quiet young minister was part of a conspiracy to kill Adolf Hitler. 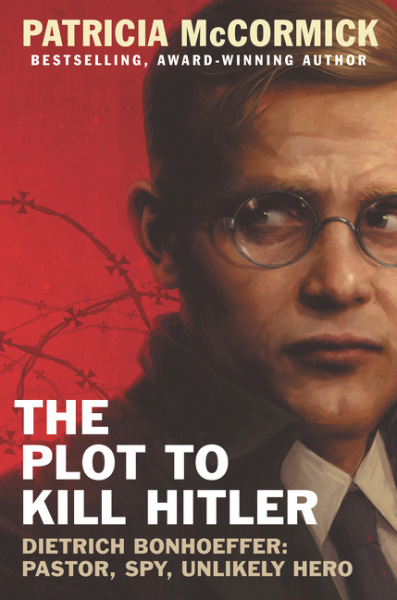 This compelling brilliantly researched account includes the remarkable discovery that Bonhoeffer was one of the first people to provide evidence to the Allies that Jews were being deported to death camps. It takes readers from his privileged childhood to the studies and travel and that would introduce him to activities around the world--eventually putting this scholarly pacifist on a deadly course to assassinate one of the most ruthless dictators in history. Review: I will read anything Patricia McCormick writes; I think she is wonderful! And combine Patricia McCormick with the topic of Hitler/WWII/Holocaust and I am in 100%. 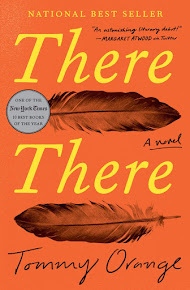 I've read I am Malala, which McCormick co-wrote, Never Fall Down about Cambodia, Sold, about child slavery, Purple Heart, about the war in Iraq and I've read Cut and My Brother's Keeper, but haven't reviewed them on this blog. Well, I received this book as a gift Christmas morning and I have finished it only a few hours later. As usual, Patricia McCormick has written a book that seeks to help teenagers understand a topic that is little-known but important. 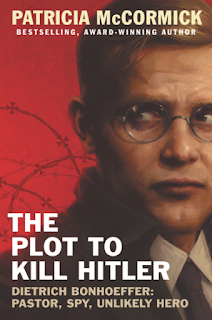 I knew about various plots to kill Hitler, but had never heard of Dietrich Bonhoeffer, the minister, who was part of the largest conspiracy. In addition he seems to have been the first to bring hard evidence to Switzerland, France, Great Britain and the US about the treatment of Jews in Germany from the Nuremberg Laws to the deportations to the concentration camps. What a shame that no one listened. "He who passively accepts evil is as much involved in it as he who helps to perpetuate it. He who accepts evil without protesting it is really cooperating with it."